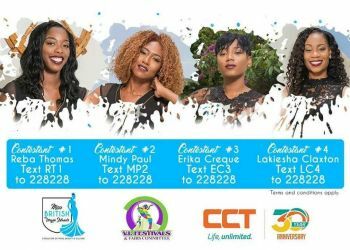 You are here: Virgin Islands News Online » News » Who will be the new Miss BVI 2016/17? Who will be the new Miss BVI 2016/17? ROAD TOWN, Tortola VI- This year’s Emancipation Festival has already been dubbed a flop as participation is at an all-time low, with many calls in some quarters to boycott the event as the public is very turned off by the childish behaviour of the controversial Minister for Education and Culture, Hon Myron V. Walwyn, a Territorial At Large Member. 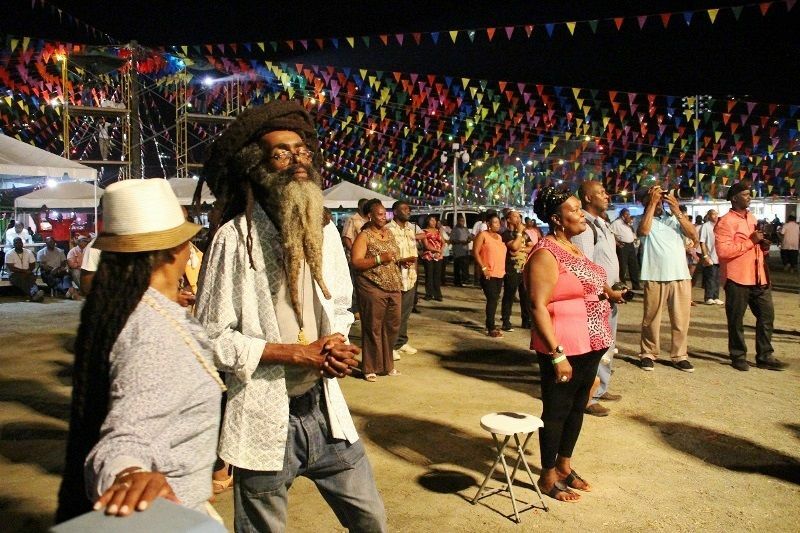 Hon Walwyn has been accused by his critics of turning the festival into politics. It is alleged that only those who support his party are allowed to serve on some committees for the most part. Also, one of his MVW International employees is now the Treasurer of the VI Festival and Fairs Committee. Many also are still upset with his many insulting and divisive remarks, including towards the Leader of the Opposition Honourable Julian Fraser RA (R3), who he had demanded be removed from the programme for the opening ceremony of Festival, some one hour before Hon Fraser was scheduled to speak. Minister Walwyn did not have the maturity or political statesmanlike behaviour to give the Leader of the Opposition a proper apology for this senseless behaviour. Instead, he lied to the public when he said the Opposition Leader has never spoken at a festival opening ceremony. However, research done by our newsroom found that in 2001 the then Leader of the Opposition, Dr The Honourable D. Orlando Smith, spoke at the opening ceremony of festival, under a Virgin Islands Party (VIP) Government. In 2008, with a VIP Government in power again, the then Leader of the Opposition Dr Smith was invited to give remarks at the opening ceremony of festival. It is unclear if he showed up but he was invited, according to research done by our newsroom. Former Permanent Secretary and prominent businessman, Mr Julian Willock, who is arguably the new voice of reason and consensus in the territory, has called on the public not to boycott the emancipation celebration but to go out and participate whether they like the Minister or not. Mr Willock, who has called on the political class to stop the divisive politics and bring the country together, said “our festival is bigger than any one person,” in a previous article. Despite all the controversy surrounding the 2016 Emancipation celebration, there seems to be one bright spot- the Miss BVI pageant. It seems to be the only event that is generating some excitement. The guest performer will be Maxi Priest, while the show will have overseas judges. Miss BVI pageant is scheduled for Sunday 31, July 2016 at 8:00 P.M. It will see Tempo TV personality Empress Jeanille as host, along with Jamaican Damion C. Grange, who lives in the Virgin Islands. The Judges include 1995 Miss Universe Chelsi Smith, 2013 Miss Universe Jamaica Kerrie Baylis, actor Hector Lincoln and Pulse Modeling Agency Chairman Kingley Cooper. The four contestants for the 2016 pageant are, Reba E. Thomas, Mindy A. Paul, Erika Creque and Lakiesha R. A. Claxton. The names were first and accurately revealed by this news site days before they were officially made public. Our newsroom continues to be the place for accurate inside information on these matters, with sources around the VI. The current Miss BVI is Adorya R. Baly, who has a few hours left before giving up the crown. VIP tickets are $75.00 and general admission tickets cost $35.00 or $40.00 at the door. Even Sizzla warning us to not be fooled by this funny man, myrum. This emancipation celebration is ours ting, not his. We need to go out and have some fun; this celebration only comes around once a year and we can not allow these politicians to spoil the fun. For myrum, his turn will soon come. "We are going to emancipate ourselves from mental slavery because whilst others might free the body, none but ourselves can free the minds." HAVE A HAPPY, ENJOYABLE, AND CRIME-FREE, 2016 EMANCIPATION FESTIVAL. Contestant #3got it all she will take the crown. attention all VOTERS....use your vote wizly!! At 3 pm there are no ticket outlets opened for persons to purchase tickets to this show. This means that persons will be forced to pay a whopping $40 at the door. Madness! I totally agree. This ain't right. Tickets should be made available at the outlets until completely sold out or until the day of the show. Rubbish!! The contestants for the Ms. BVI pageant are not impressive. I was at a location, one of the contestant came in, she never said a word to no one, passed straight and do what she had to do and left. Now, why she couldn't say good day, induce her self and invite people to the show? Are these the people who will be the next ambassadors? I am not impressed. Please with every fiber of your being, get a life. @Induce herself???? You need to go sit down, I have a life. That's why you are where you are. I said nothing wrong. So get it together. That is why when they go to the Ms. Universe pagent. (waste of money), they never get placed in anything.